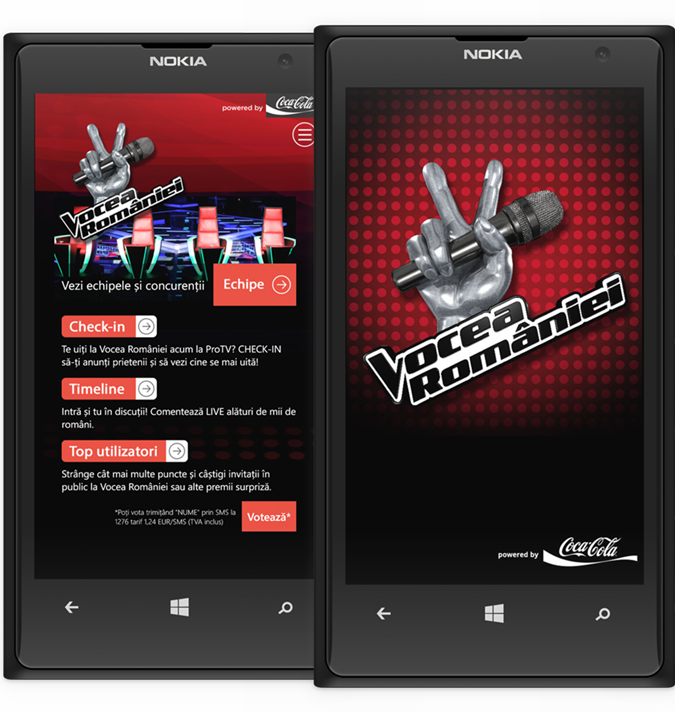 In 2013 we developed “Vocea României”, the official Windows Phone app for “The Voice of Romania” TV show. The app’s main purpose was to let its users see all the teams, follow their progress and send an SMS vote to their favourite participants during or after the shows. The app also had a chat section where viewers could share their opinion and chat with fellow viewers. See all the participants and follow their progress. Check-in while you’re watching or send live updates. Chat with fellow viewers and share your opinion. Vote your favourites via SMS right from the app.